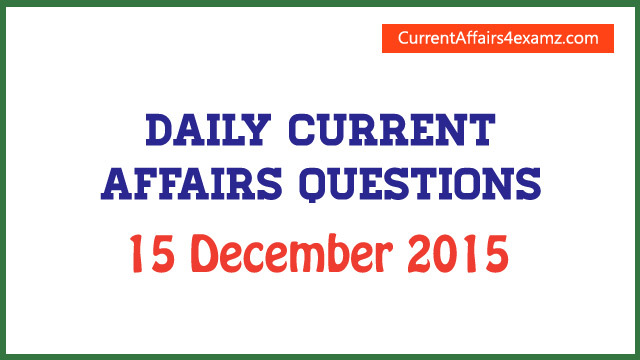 Here are the useful GK/Current Affairs Questions in Capsule form for 15 December 2015 useful for cracking upcoming competitive exams. 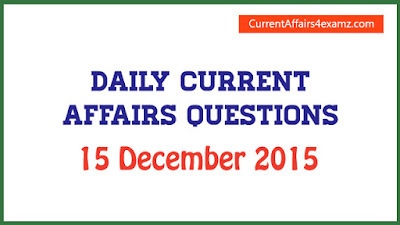 Please comment your suggestions. Note: The event was held at Dr Karni Singh Shooting range in New Delhi. Note: The North Eastern cities of Guwahati and Shillong would jointly host the Games from February 6th to16th, 2016. Note: Varanasi has been added in the City of Music category of network. Jaipur been added in the City of Crafts and Folk Art category of network. Note: In June 2015, the lake was officially designated as Myanmar’s first biosphere reserve under UNESCO’s Man and the Bioshpere (MAB) programme.